This textured boatneck sweater is on sale for 50% off. This camo denim jacket is 50% off. This cute botanical shift dress is 50% off. This new arrival pink melange sweater is $13. This fun boucle skirt (50% off) with pockets would look great styled with boots. This floral blouse makes me think of spring. This cute floral 2-in-1 top is 50% off. This grey reversible tote is only $25. This initial necklace is 55% off. Faux fur stoles are very popular and this one is 40% off. 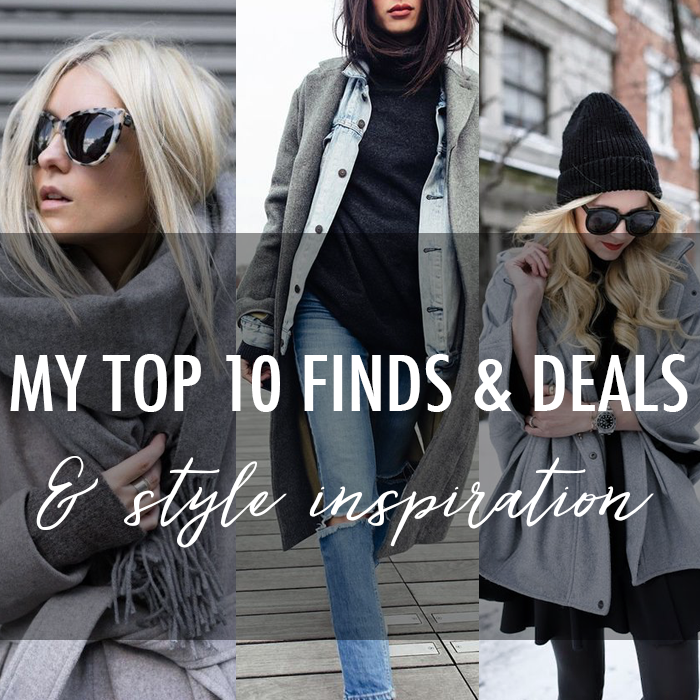 Yesterday I shared more top 10 picks HERE.